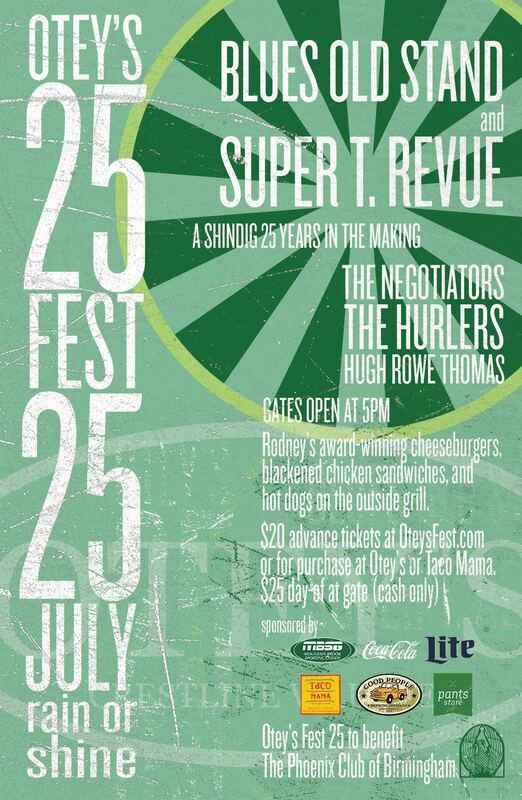 On July 25th, 2015, Otey’s Tavern will host their 6th Annual Otey’s Fest. This year, we are excited to announce that proceeds will benefit the Phoenix Club of Birmingham! Come out and enjoy some great brews, Otey’s famous cocktails, bands and family fun! And of course, Rodney will be grilling cheeseburgers, chicken sandwich’s and hot dogs in the parking lot. Tickets will be $20 in advance or $25 at the day of the event. Come out, have a great time and support a great cause! Purchase your tickets on their website today! To learn more – watch the video!